Shaun Gallagher has a short new piece out with Hutto, Slaby, and Cole and I felt compelled to comment on it. Shaun was my first mentor and is to thank for my understanding of what is at stake in a phenomenological cognitive science. I jumped on this piece when it came out because, as I’ve said before, enactivists often leave a lot to be desired when talking about the brain. That is to say, they more often than not leave it out entirely and focus instead on bodies, cultural practices, and other parts of our extra-neural milieu. As a neuroscientist who is enthusiastically sympathetic to the embodied, enactive approach to cognition, I find this worrisome. Which is to say that when I’ve tried to conduct “neurophenomenological” experiments, I often feel a bit left in the rain when it comes time construct, analyze, and interpret the data. As an “enactive” neuroscientist, I often find the de-emphasis of brains a bit troubling. For one thing, the radically phenomenological crew tends to make a lot of claims to altering the foundations of neuroscience. Things like information processing and mental representation are said to be stale, Cartesian constructs that lack ontological validity and want to be replaced. This is fine- I’m totally open to the limitations of our current explanatory framework. However as I’ve argued here, I believe neuroscience still has great need of these tools and that dynamical systems theory is not ready for prime time neuroscience. We need a strong positive account of what we should replace them with, and that account needs to act as a practical and theoretical guide to discovery. One worry I have is that enactivism quickly begins to look like a constructivist version of behaviorism, focusing exclusively on behavior to the exclusion of the brain. Of course I understand that this is a bit unfair; enactivism is about taking a dynamical, encultured, phenomenological view of the human being seriously. Yet I believe to accomplish this we must also understand the function of the nervous system. While enactivists will often give token credit to the brain- affirming that is indeed an ‘important part’ of the cognitive apparatus, they seem quick to value things like clothing and social status over gray matter. Call me old fashioned but, you could strip me of job, titles, and clothing tomorrow and I’d still be capable of 80% of whatever I was before. Granted my cognitive system would undergo a good deal of strain, but I’d still be fully capable of vision, memory, speech, and even consciousness. The same can’t be said of me if you start magnetically stimulating my brain in interesting and devious ways. I don’t want to get derailed arguing about the explanatory locus of cognition, as I think one’s stances on the matter largely comes down to whatever your intuitive pump tells you is important. We could argue about it all day; what matters more than where in the explanatory hierarchy we place the brain, is how that framework lets us predict and explain neural function and behavior. This is where I think enactivism often fails; it’s all fire and bluster (and rightfully so!) when it comes to the philosophical weaknesses of empirical cognitive science, yet mumbles and missteps when it comes to giving positive advice to scientists. I’m all for throwing out the dogma and getting phenomenological, but only if there’s something useful ready to replace the methodological bathwater. This is quite true and an important tension throughout much of the empirical work done under the heading of enactivism. In my own group we’ve struggled to go from the inspiring war cries of anti-representationalism and interaction theory to the hard constraints of neuroscience. It often happens that while the story or theoretical grounding is suitably phenomenological and enactive, the methodology and their interpretation are necessarily cognitivist in nature. We’re all in agreement there: I want nothing more than to understand exactly how it is our cerebral organ accomplishes the impressive feats of locomotion, perception, homeostasis, and so on right up to consciousness and social cognition. Yet I’m a scientist and no matter what I write in my introduction I must measure something- and what I measure largely defines my explanatory scope. So what do Gallagher et al offer me? Ok, so I can’t talk about representations. Presumably we’ll call them “processes” or something like that. Whatever we call them, neurons are still doing something, and that something is important in producing behavior. Integrative- I’m not sure what that means, but I presume it means that whatever neurons do, they do it across sensory and cognitive modalities. Finally we come to dynamical- here is where it gets really tricky. Dynamical systems theory (DST) is an incredibly complex mathematical framework dealing with topology, fluid dynamics, and chaos theory. Can DST guide neuroscientific discovery? Functional MRI technology goes hand in hand with orthodox computational models. Standard use of fMRI provides an excellent tool to answer precisely the kinds of questions that can be asked within this approach. Yet at the limits of this science, a variety of studies challenge accepted views about anatomical and functional segregation (e.g., Shackman et al. 2011; Shuler and Bear 2006), the adequacy of short-term task- based fMRI experiments to provide an adequate conception of brain function (Gonzalez-Castillo et al. 2012), and individual differences in BOLD signal activation in subjects performing the same cognitive task (Miller et al. 2012). Such studies point to embodied phenomena (e.g., pain, emotion, hedonic aspects) that are not appropriately characterized in representational terms but are dynamically integrated with their central elaboration. Claim one is what I’ve just argued above, that fMRI and similar tools presuppose computational cognitivism. What follows I feel is a mischaracterization of cognitive neuroscience. First we have the typical bit about functional segregation being extremely limited. It surely is and I think most neuroscientists today would agree that segregation is far from the whole story of the brain. Which is precisely why the field is undeniably and swiftly moving towards connectivity and functional integration, rather than segregation. I’d wager that for a few years now the majority of published cogneuro papers focus on connectivity rather than blobology. Next we have a sort of critique of the use of focal cognitive tasks. This almost seems like a critique of science itself; while certainly not without limits, neuroscientists rely on such tasks in order to make controlled assessments of phenomena. There is nothing a priori that says a controlled experiment is necessarily cognitivist anymore so than a controlled physics experiment must necessarily be Newtonian rather than relativistic. 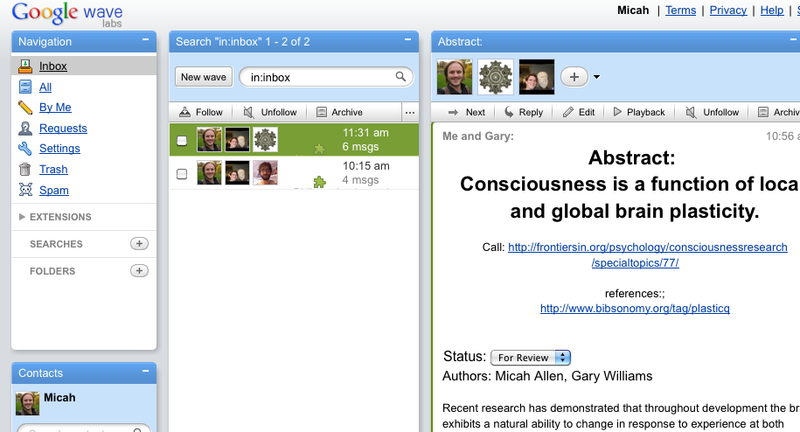 And again, I’d characterize contemporary neuroscience as being positively in love with “task-free” resting state fMRI. So I’m not sure at what this criticism is aimed. Finally there is this bit about individual differences in BOLD activation. This one I think is really a red herring; there is nothing in fMRI methodology that prevents scientists from assessing individual differences in neural function and architecture. The group I’m working with in London specializes in exactly this kind of analysis, which is essentially just creating regression models with neural and behavioral independent and dependent variables. There certainly is a lot of variability in brains, and neuroscience is working hard and making strides towards understanding those phenomena. “Consider also recent challenges to the idea that so-called “mentalizing” areas (“cortical midline structures”) are dedicated to any one function. Are such areas activated for mindreading (Frith and Frith 2008; Vogeley et al. 2001), or folk psychological narrative (Perner et al. 2006; Saxe & Kanwisher 2003); a default mode (e.g., Raichle et al. 2001), or other functions such as autobiographical memory, navigation, and future planning (see Buckner and Carroll 2006; 2007; Spreng, Mar and Kim 2008); or self -related tasks(Northoff & Bermpohl 2004); or, more general reflective problem solving (Legrand andRuby 2010); or are they trained up for joint attention in social interaction, as Schilbach etal. suggest; or all of the above and others yet to be discovered. I guess this paragraph is supposed to get us thinking that these seem really different, so clearly the localizationist account of the MPFC fails. But as I’ve just said, this is for one a bit of a red herring- most neuroscientists no longer believe exclusively in a localizationist account. In fact more and more I hear top neuroscientists disparaging overly blobological accounts and referring to prefrontal cortex as a whole. Functional integration is here to stay. Further, I’m not sure I buy their argument that these functions are so disparate- it seems clear to me that they all share a social, self-related core probably related to the default mode network. Me reading this bit: “yep, ok, brains, eyeballs, face, hands, all the good bits. Wait- what?” The answer is “… a system that … anticipates and responds to its environment.” Did Karl Friston just enter the room? Because it seems to me like Gallagher et al are advocating a predictive coding account of the brain [note: see clarifying comment by Gallagher, and my response below]! If brains anticipate their environment then that means they are constructing a forward model of their inputs. A forward model is a Bayesian statistical model that estimates posterior probabilities of a stimulus from prior predictions about its nature. We could argue all day about what to call that model, but clearly what we’ve got here is a brain using strong internal models to make predictions about the world. Now what is “enactive” about these forward models seems like an extremely ambiguous notion. To this extent, Gallagher includes “How an agent responds will depend to some degree on the overall dynamical state of the brain and the various, specific and relevant neuronal processes that have been attuned by evolutionary pressures, but also by personal experiences” as a description of how a prediction can be enactive. But none of this is precluded by the predictive coding account of the brain. The overall dynamical state (intrinsic connectivity?) of the brain amounts to noise that must be controlled through increasing neural gain and precision. I.e., a Bayesian model presupposes that the brain is undergoing exactly these kinds of fluctuations and makes steps to produce optimal behavior in the face of such noise. Likewise the Bayesian model is fully hierarchical- at all levels of the system the local neural function is constrained and configured by predictions and error signals from the levels above and below it. In this sense, global dynamical phenomena like neuromodulation structure prediction in ways that constrain local dynamics. These relationships can be fully non-linear and dynamical in nature (See Friston 2009 for review). Of the other bits – evolution and individual differences, Karl would surely say that the former leads to variation in first priors and the latter is the product of agents optimizing their behavior in a variable world. So there you have it- enactivist cognitive neuroscience is essentially Bayesian neuroscience. If I want to fulfill Gallagher et al’s prescriptions, I need merely use resting state, connectivity, and predictive coding analysis schemes. Yet somehow I think this isn’t quite what they meant- and there for me, lies the true tension in ‘enactive’ cognitive neuroscience. But maybe it is- Andy Clark recently went Bayesian, claiming that extended cognition and predictive coding are totally compatible. Maybe it’s time to put away the knives and stop arguing about representations. Yet I think an important tension remains: can we explain all the things Gallagher et al list as important using prior and posterior probabilities? I’m not totally sure, but I do know one thing- these concepts make it a hell of a lot easier to actually analyze and interpret my data. I said I’d discuss DST, but ran out of space and time. My problem with DST boils down to this: it’s descriptive, not predictive. As a scientist it is not clear to me how one actually applies DST to a given experiment. I don’t see any kind of functional ontology emerging by which to apply the myriad of DST measures in a principled way. Mental chronometry may be hokey and old fashioned, but it’s easy to understand and can be applied to data and interpreted readily. This is a huge limitation for a field as complex as neuroscience, and as rife with bad data. A leading dynamicist once told me that in his entire career “not one prediction he’d made about (a DST measure/experiment) had come true, and that to apply DST one just needed to “collect tons of data and then apply every measure possible until one seemed interesting”. To me this is a data fishing nightmare and does not represent a reliable guide to empirical discovery. The 2011 Mind & Life Summer Research Institute: Are Monks Better at Introspection? As I’m sitting in the JFK airport waiting for my flight to Iceland, I can’t help but let my mind wander over the curious events of this year’s summer research institute (SRI). The Mind & Life Institute, an organization dedicated to the integration and development of what they’ve dubbed “contemplative science”, holds the SRI each summer to bring together clinicians, neuroscientists, scholars, and contemplatives (mostly monks) in a format that is half conference and half meditation retreat. The summer research institute is always a ton of fun, and a great place to further one’s understanding of Buddhism & meditation while sharing valuable research insights. I was lucky enough to receive a Varela award for my work in meta-cognition and mental training and so this was my second year attending. I chose to take a slightly different approach from my first visit, when I basically followed the program and did whatever the M&L thought was the best use of my time. This meant lots of meditation- more than two hours per day not including the whole-day, silent “mini-retreat”. While I still practiced this year, I felt less obliged to do the full program, and I’m glad I took this route as it provided me a somewhat more detached, almost outsider view of the spectacle that is the Mind & Life SRI. When I say spectacle, it’s important to understand how unconventional of a conference setting the SRI really is. Each year dozens of ambitious neuroscientists and clinicians meet with dozens of Buddhist monks and western “mindfulness” instructors. The initial feeling is one of severe culture clash; ambitious young scholars who can hardly wait to mention their Ivy League affiliations meet with the austere and almost ascetic approach of traditional Buddhist philosophy. In some cases it almost feels like a race to “out-mindful” one another, as folks put on a great show of piety in order to fit into the mood of the event. It can be a bit jarring to oscillate between the supposed tranquility and selflessness of mindfulness with the unabashed ambition of these highly talented and motivated folk- at least until things settle down a bit. Nonetheless, the overall atmosphere of the SRI is one of serenity and scholarship. It’s an extremely fun, stimulating event, rich with amazingly talented yoga and meditation instructors and attended by the top researchers within the field. What follows is thus not meant as any kind of attack on the overall mission of the M&L. Indeed, I’m more than grateful to the institute for carrying on at least some form of Francisco Varela’s vision for cognitive science, and of course for supporting my own meditation research. With that being said, we turn to the question at hand: are monks objectively better at introspection? The answer for nearly everyone at the SRI appear to be “yes”, regardless of the scarcity of data suggesting this to be the case. Before I can really get into this issue, I need to briefly review what exactly “enactivism” is and how it relates to the SRI. 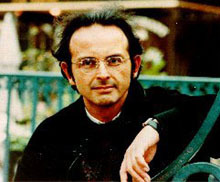 The Mind & Life institute was co-founded by Francisco Varela, a Chilean biologist and neuroscientist who is often credited with the birth and success of embodied and enactive cognitive science. Varela had a profound impact on scientists, philosophers, and cognitive scientists and is a central influence in my own theoretical work. Varela’s essential thesis was outlined in his book “The Embodied Mind”, in which Varela, Thompson, and Rosch, attempted to outline a new paradigm for the study of mind. In the book, Varela et al rely on examples from cross-cultural psychology, continental phenomenology, Buddhism, and cognitive science to argue that cognition (and mind) is essentially an embodied, enactive phenomenon. The book has since spawned a generation of researchers dedicated in some way to the idea that cognition is not essentially, or at least foundationally, computational and representational in form. I don’t here intend to get into the roots of what enactivism is; for the present it suffices to say that enactivism as envisioned by Varela involved a dedication to the “middle way” in which idealism-objectivism duality is collapsed in favor of a dynamical non-representational account of cognition and the world. I very much favor this view and try to use it productively in my own research. Varela argued throughout his life that cognition was not essentially an internal, info-processing kind of phenomenon, but rather an emergent and intricately interwoven entity that arose from our history of structural coupling with the world. He further argued that cognitive science needed to develop a first-person methodology if it was to fully explain the rich panorama of human consciousness. A simpler way to put this is to say that Varela argued persuasively that minds are not computers “parachuted into an objective world” and that cognition is not about sucking up impoverished information for representation in a subjective format. While Varela invoked much of Buddhist ontology, including concepts of “emptiness” and “inter-relatedness”, to develop his account continental phenomenologists like Heidegger and Merleau-Ponty also heavily inspired his vision of 4th wave cognitive science. At the SRI there is little mention of this; most scholars are unaware of the continental literature or that phenomenology is not equal to introspection. Indeed I had to cringe when one to-be-unnamed young scientist declared a particular spinal pathway to be “the central pathway for embodiment”. This is a stark misunderstanding of just what embodiment means, and I would argue renders it a relatively trivial add-on to the information processing paradigm- something most enactivists would like to strongly resist. I politely pointed the gentleman to the example work of Ulric Neisser, who argued for the ecological embodied self, in which the structure of the face is said to pre-structure human experience in particular ways, i.e. we typically experience ourselves as moving through the world toward a central fovea-centered point. Embodiment is an external, or pre-noetic structuring of the mind; it follows no nervous pathway but rather structures the possibilities of the nervous system and mind. I hope he follows that reference down the rabbit hole of the full possibilities of embodiment- the least of which is body-as-extra-module. Still, I certainly couldn’t blame this particular scientist for his mis-understanding; nearly everyone at the SRI is totally unfamiliar with externalist/phenomenal perspectives, which is a sad state of affairs for a generation of scientists being supported by grants in Varela’s name. Regardless of Varela’s vision for cognitive science, his thesis regarding introspectionism is certainly running strong: first-person methodologies are the hot topic of the SRI, and nearly everyone agreed that by studying contemplative practitioners’ subjective reports, we’d gain some special insight into the mind. Bracketing whether introspection is what Varela really meant by neurophenomenology (I don’t think it is- phenomenology is not introspection) we are brought to the central question: are Buddhist practitioners expert introspectionists? Varela certainly believed this to some degree. It’s not entirely clear to me that the bulk of Varela’s work summates to this maxim, but it’s at least certainly true that in papers such as his seminal “Neurophenomenology: a methodological remedy to the hard problem?” he argued that a careful first-person methodology could reap great benefits in this arena. Varela later followed up this theoretical thesis with his now well-known experiment conducted with then PhD student and my current mentor Antoine Lutz. While I won’t reproduce the details of this experiment at length here, Lutz and Varela demonstrated that it was in fact possible to inform and constrain electrophysiological measurements through the collection and systemization of first-person reports. It’s worth noting here that the participants in this experiment were every day folks, not meditation practitioners, and that Lutz & Varela developed a special method to integrate the reports rather than taking them simply at face value. In fact, while Varela did often suggest that we might through careful contemplation and collaboration with the Buddhist tradition refine first person methodologies and gain insight into the “hard-problem”, he never did complete these experiments with practitioners, a fact that can likely be attributed to his pre-mature death at the hand of aggressive hepatitis. Regardless of Varela’s own work, it’s fascinating to me that at today’s SRI, if there is one thing nearly everyone seems to explicitly agree on, it’s that meditation practitioners have some kind of privileged access to experience. I can’t count how many discussions seemed to simply assume the truth of this, regardless of the fact that almost no empirical research has demonstrated any kind of increased meta-cognitive capacity or accuracy in adept contemplatives. While Antoine and I are in fact running experiments dedicated to answering this question, the fact remains that this research is largely exploratory and without strong empirical leads to work from. While I do believe that some level of meditation practice can provide greater reliability and accuracy in meta-cognitive reports, I don’t see any reason to value the reports of contemplative practitioners above and beyond those of any other particular niche group. If I want to know what it’s like to experience baseball, I’m probably going to ask some professional baseball players and not a Buddhist monk. At several points during the SRI I tried to express just this sentiment; that studying Buddhist monks gives us a greater insight into what-it-is-like to be a monk and not much else. I’m not sure if I succeeded, but I’d like to think I planted a few seeds of doubt. There are several reasons for this. First, I part with Varela where he assumes that the Buddhist tradition and/or “Buddhist Psychology” have particularly valuable insights (for example, emptiness) that can’t be gleaned from western approaches. It might, but I don’t buy into the idea that the Buddhist tradition is its own kind of scientific approach to the mind; it’s not- it’s religion. For me the middle way means a lifelong commitment to a kind of meta-physical agnosticism, and I refuse to believe that any human tradition has a vast advantage over another. This was never more apparent than during a particularly controversial talk by John Dunne, a Harvard contemplative scholar, whose keynote was dedicated to getting scientists like myself to go beyond the traditional texts and veridical reports of practitioners and to instead engage in what he called “trialogue” in order to discover “what it is practitioners are really doing”. At the end of his talk one of the Dalai Lama’s lead monks actually took great offense, scolding John for “misleading the youth with his western academic approach”. The entire debacle was a perfect case-in-point demonstration of John’s talk; one cannot simply take the word of highly religious practitioners as some kind of veridical statement about the world. This isn’t to say that we can’t learn a great deal about experience, and the mind, through meditation and careful introspection. I think at an early level it’s enough to just sit with ones breath and suspend beliefs about what exactly experience is. I do believe that in our modern lives; we spend precious little time with the body and our minds, simply observing what arises in a non-partial way. I agree with Sogyal Rinpoche that we are at times overly dis-embodied and away from ourselves. Yet this practice isn’t unique to Buddhism; the phenomenological reduction comes from Husserl and is a practice developed throughout continental phenomenology. 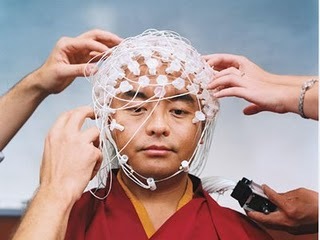 I do think that Buddhism has developed some particularly interesting techniques to aid this process, such as Vipassana and compassion-meditation, that can and will shed insights for the cognitive scientist interested in experience, and I hope that my own work will demonstrate as much. But this is a very different claim from the one that says monastic Buddhists have a particularly special access to experience. At the end of the day I’m going to hedge my bets with the critical, empirical, and dialectical approach of cognitive science. In fact, I think there may be good reasons to suspect that high-level practitioners are inappropriate participants for “neurophenomenology”. Take for example, the excellent and controversial talk given this year by Willoughby Britton, in which she described how contemplative science had been too quick to sweep under the rug a vast array of negative “side-effects” of advanced practice. These effects included hallucination, de-personalization, pain, and extreme terror. This makes a good deal of sense; advanced meditation practice is less impartial phenomenology and more a rigorous ritualized mental practice embedded in a strong religious context. I believe that across cultures many religions share techniques, often utilizing rhythmic breathing, body postures, and intense belief priming to engender an almost psychedelic state in the practitioner. What does this mean for cognitive science and enactivism? First, it means we need to respect cultural boundaries and not rush to put one cultural practice on top of the explanatory totem pole. This doesn’t mean cognitive scientists shouldn’t be paying attention to experience, or even practicing and studying meditation, but we have to be careful not to ignore the normativity inherent in any ritualized culture. Embracing this basic realization takes seriously individual and cultural differences in consciousness, something I’ve argued for and believe is essential for the future of 4th wave cognitive science. Neurophenomenology, among other things, should be about recognizing and describing the normativity in our own practices, not importing those of another culture wholesale. I think that this is in line with much of what Varela wrote, and luckily, the tools to do just this are richly provided by the continental phenomenological tradition. I believe that by carefully bracketing meta-physical and normative concepts, and investigating the vast multitude of phenomenal experience in its full multi-cultural variety, we can begin to shed light on the mind-brain relationship in a meaningful and not strictly reductive fashion. Indeed, in answering the question “are monks expert introspectionists” I think we should carefully question the normative thesis underlying that hypothesis- what exactly constitutes “good” experiential reports? Perhaps by taking a long view on Buddhism and cognitive science, we can begin to truly take the middle way to experience, where we view all experiential reports as equally valid statements regarding some kind of subjective state. The question then becomes primarily longitudinal, i.e. do experiential reports demonstrate a kind of stability or consistency over time, how do trends in experiential reports relate to neural traits and states, and how do these phenomena interact with the particular cultural practices within which they are embedded. For me, this is the central contribution of enactive cognitive science and the best way forward for neurophenomenology. Disclaimer: I am in no way suggesting enactivists cannot or should not study advanced buddhism if that is what they find interesting and useful. I of course realize that the M&L SRI is a very particular kind of meeting, and that many enactive cognitive scientists can and do work along the lines I am suggesting. My claim is regarding best practices for the core of 4th wave cognitive science, not the fringe. I greatly value the work done by the M&L and found the SRI to be an amazingly fruitful experience. These kinds of claims have been echoed across the popular press and blogosphere. They amount to an exact approximation of the ‚Äúfear that [language] was sure to encourage great laziness and to stop people from thinking for themselves‚Äù. The similarity continues- ‚Äúif you could ask someone for the answer, who would bother to learn anything.‚Äù These fears clearly trade on the same metaphors. They are couched in a basic recognition that like language, the social media is profoundly altering the way we create, store, and share knowledge. In fact, part of what makes social media so interesting is the precise way in which it enables and enhances our language abilities. Social media lets millions of users contribute small bits of linguistic intelligence to an otherwise ‘dumb’ repository of information. The collective tagging, sharing, ranking, blogging, and evaluating of the web results in a collective knowledge base that reshapes our possibilities for action. This is not unlike the role of language in Merlin’s example, or in Andy Clark’s famous examples of how wrist watches or notepads reshape our ability to plan actiond and coordinate with one another. So should we be worried? I think it depends largely on your ethical and political stance on technology. Some, perhaps those most inspired by a Kazinski-esque desire to return to some basic primitive lifestyle, seem to embrace a basic notion that technology is the root of all evil. My own stance is that such a view is brazenly ignorant of reality. We cannot go back- the mind of modern man has been revolutionized not only by the emergence of language and analytic thinking, but by the products- the artifacts and tools that have come about as a direct consequence of the radical transformation in our mental fabric, brought about by symbolic language. I would like to suggest that the emergence of the internet, and its’ refinement via social technology, represents a new stage of cognitive development- using Merlin’s terms, a revolutionary synthesis of mythic, narrative, and analytic thinking- but that is the subject for another post. Back to the topic at hand. Simply put, everything changes our brains. Research now suggests that across the human brain, both synapses and somas are profoundly capable of adaptation to new experiences . Andy Clark argues that human brains have evolved such remarkable plasticity to make use of new tools in ways that other animals cannot, via the actual integration of tools into our distributed cognitive system. An accurate metaphor is found in embodiment- we typically do not pay reflective attention to our bodies. Rather, we use them as fluid extensions of our intentions. Tool use is also like this- the hammer in the hand of a skilled carpenter becomes transparent. Recent neuroscience backs this up, as Andy points out, with studies demonstrating that the visual receptive fields of monkeys will instantly extend to include the length of a stick when it is used by the animal. The tool-world-mind relationship is thus dynamic- the brain/mind integrates tools into its’ very fabric. We are natural born cyborgs, distributed cognitive systems of flesh and tool. Thus, the introduction of agriculture brought about alterations in diet that no doubt influenced our metabolism and facilitated new and divergent brain growth. Social media alarmism is just another iteration of technological conservatism, and in its’ current form really only blinds us to the real benefits and pitfalls of these technologies. What about the brain? Pre-frontal connectivity (prevalence of white matter) is perhaps a singular anatomical marker of brain difference between human and chimpanzee . Further studies in neurobiology indicate that the degree of plasticity may be greater within axonal white matter than any other neural component . Green CS, Bavelier D. (2008): Exercising your brain: a review of human brain plasticity and training-induced learning. Psychology and aging 23(4):692-701. Schoenemann PT, Sheehan MJ, Glotzer LD. (2005): Prefrontal white matter volume is disproportionately larger in humans than in other primates. Nat Neurosci 8(2):242-52. Stettler DD, Yamahachi H, Li W, Denk W, Gilbert CD. (2006): Axons and synaptic boutons are highly dynamic in adult visual cortex. Neuron 49(6):877-87.